I thought I’d take a break from the Chemin du Puy posts (am I still writing about that adventure??) 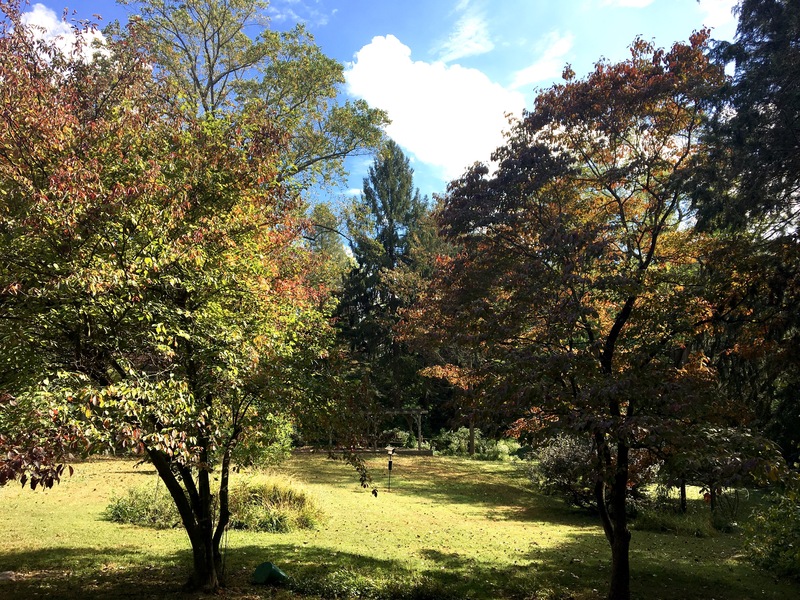 with some updates on… other stuff. The blog is part of it, so I’ll start there. Hi, blog readers! I’m still here, and I think some of you are, as well. Ever since I made the migration to a self-hosted site back in January, I’ve had some minor issues. I still need to iron those out, and most of the time I just kind of ignore them and hope that my posts are making their way out to all of you. And yes, I’m still writing about my pilgrimage through France but I only have a couple of posts left (well, I have four days left to write about but I think I’m going to combine three days into one post, for the sake of just getting the writing done already!). And after that, I’ll keep blogging and it will probably be a mix of stuff, until I can head out on another walk. I want to revisit some of my past adventures, and do some roundups and maybe mini guide-like posts (sort of like the one I did for the Camino de San Salvador). So while it may seem like the blog has gone a bit quiet, this is my assurance that I have no intention of stopping this thing. But I’m working on some other things too and sometimes it feels like I want to do everything. I want to do it all. I want to write a book and I want to publish essays and wouldn’t it be cool if, somewhere, somehow, I could have a regular column where I write all about my walking adventures? I want to write e-books and I want to run an e-course and I want to do more with photography. I want to buy a nice camera and a nice lens and lug it around everywhere and take photos. Right now it feels like there is so much I want to do, and I have this notebook where I’m collecting ideas and it seems as though the list just gets longer and longer. So I have ideas, but I also have a start on a couple things. Small starts, but here are updates on some of the things I’ve been working on. The Book seems to be the project of all projects, the one that feels the biggest, the one that feels like it will still take years and years before I have something that feels even close to ‘finished’. It’s the memoir I’ve been working on, the one about my first Camino. I have a very (very) rough draft written, more or less. I like that I have this start, but it feels like just the very beginning. There are pieces missing, the pieces that pull it all together, and I’m still wondering which story, exactly, I want to be telling. This is a big thing to need to figure out, and I feel a little stalled. Or maybe it just feels really hard right now, so I’ve put that project on the back burner for a little while. It’s not going anywhere, and I know I’ll get back to it. Two years ago I was convinced that I needed to write as much as I could and as fast as I could so that I could get a book published right away, but now I realize that I need this time. Time to write and then time to let it sit and time to figure out how to share this big story. But in the meantime, in the spring, I wrote most of the content for a small e-book that I’m hoping to publish soon. In the last month I’ve been editing and arranging and pulling it all together, and it makes me smile. 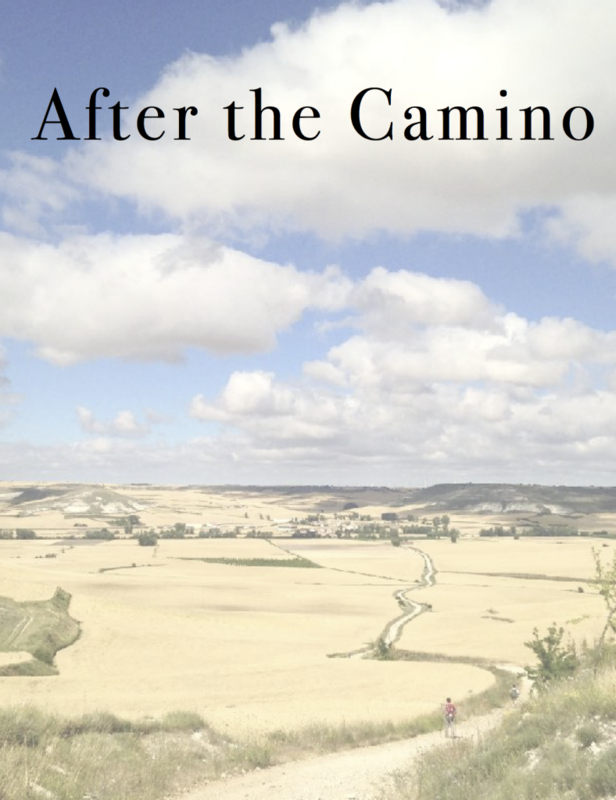 It’s called After the Camino, and it’s something of a guide for pilgrims who have walked a Camino, returned home, and find themselves feeling a little lost. 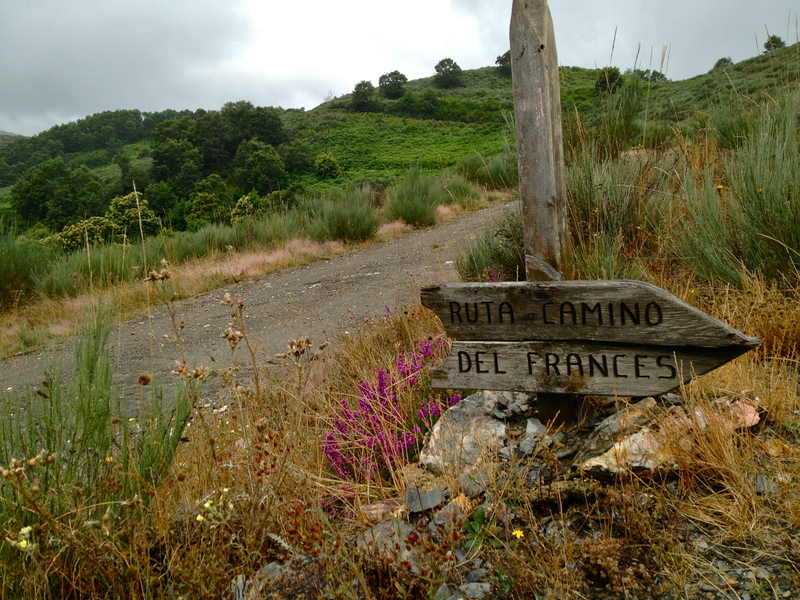 Or for the pilgrims who find themselves really, really missing the Camino (so… that’s basically all of us, right??). The book was fun to write: the chapters aren’t long and each feels like it could be a blog post. The chapters focus on different aspects- food, memories, community, simplicity, etc. 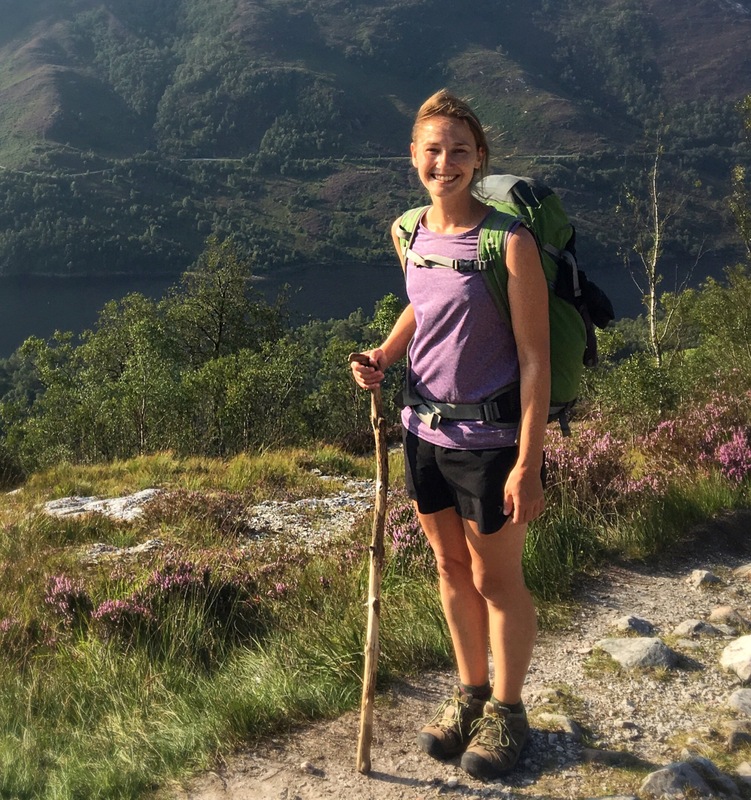 I talk a little about my own experiences, and I talk about ways to continue walking your Camino at home. There are ideas and tips, and some general thoughts and musings. This is still very much in development, and is mostly in the ‘idea phase’. But as I worked on the e-book, I knew that there were areas that I could really delve into, and topics that I could spend more time on. 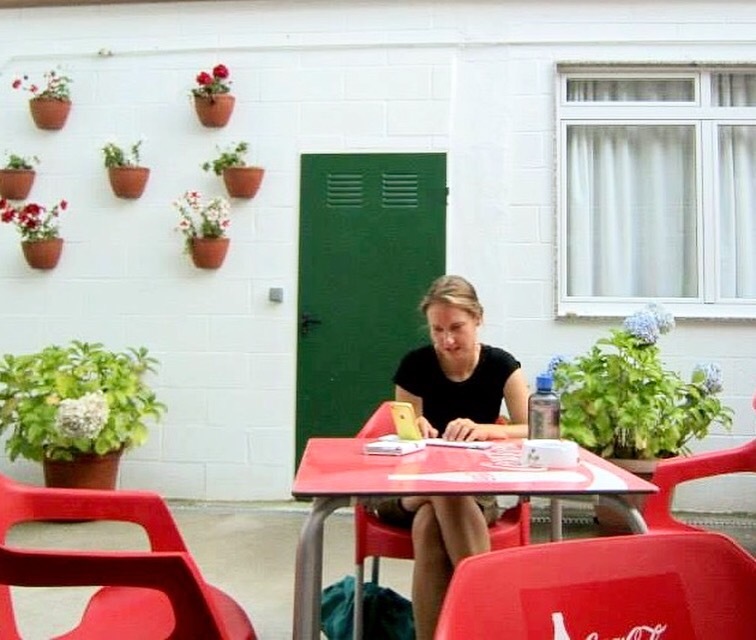 I like the idea of developing a course where I could guide people as they worked on taking the things they learned on the Camino and then applying them into their lives at home. Identifying the themes and lessons of their pilgrimage, and then taking those lessons and making changes/adjustments back home. Or figuring out their next steps. 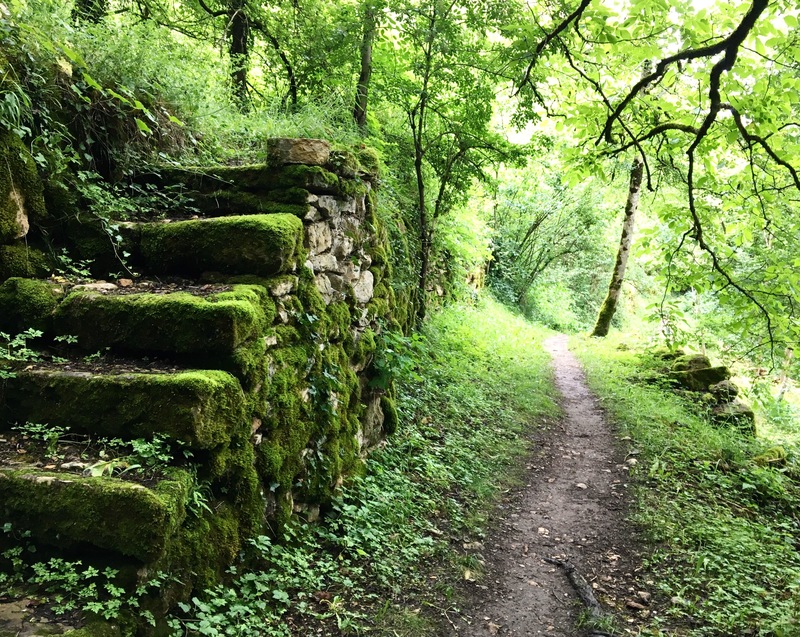 I’m still figuring all of this out, but I know that I want to be a guide, and I want to create some kind of community within the course, the kind of community that mirrors what is often found on the Camino. Stay tuned. Earlier this year I created an Instagram account for Nadine Walks, and I’ve been trying to post a photo every day. I have to say… I love it. I’m just going through all of my walks and posting my favorite photos and sometimes writing little captions and it’s just so much fun to revisit my travels. And it’s fun to pick out the photos and, bit by bit, form a collection, a picture book of my years as a pilgrim, as a walker. I’m not sure if you have to have an Instagram account to see the photos (click on the link above and see if it works); but if you are on Instagram, then follow along! There will surely be photos that have already been featured on this blog, but there will be others that you probably haven’t seen, too. I’m now on Facebook too, but unlike Instagram, I’m not quite as enthusiastic. I think I’m still figuring out how I want to use this space (or if I want to, ultimately, use it at all). Oh, social media. I have mixed feelings about it all, and sometimes the idea of being ‘present’ on all of these different sites can make my skin start to crawl. But I try to focus on my overall goal, and that is to find my audience. I’ve always wanted to share photos and stories with people who would appreciate them, or smile at them, or take something away from them… and those are the people I want to find. And since I’m living in an age where we can all connect in so many different ways, I figure that now is the time to try it all out. So if you’re on Facebook, you’re welcome to follow me or like me or whatever it is we do these days. I haven’t been updating the page frequently, but I’m hoping to come up with a plan for how I want to use Facebook and what I want to share there. More photos, links to my blog posts, but also some other stuff: thoughts, articles, resources. But, you know, you could ignore all the rest of it and just keep coming back here. I’m still so happy to be writing, and for all of you to be reading whatever it is that I’m writing. I’m still so happy to be taking photos wherever I go, and it delights me to share my very favorites. There is so much beauty all around us, and I love sharing what I see. As I finish this post I’m taking the last sips of a glass of wine, and listening to Bon Iver, and my porch door is open and it’s warm in my living room. It’s October but it feels like summer is still trying for it’s last grasp. It’s a peaceful evening, and I hope it’s peaceful where you are, too. We’re down to our last months of the year, and I feel it strongly. It’s time to do the things that we’ve been wanting to do for the last 9 months. It’s one last big push, before we think about what comes next. Happy October days to all of you, thanks for being here. Three sounds are competing for my attention in my kitchen right now: the hiss of boiling water from the red teapot on the stove top, the steady drip of my kitchen faucet to assure that the pipe doesn’t burst, and the faint buzzing of the heater at my side- I’m sitting so close that I’m almost on top of it. This seat- and the bathroom- are the warmest spots in my apartment. And while I’ve considered taking my computer into the bathroom with me, I’ve decided to set up camp at my kitchen table instead. It is winter, and it is cold. Really cold. With another Camino on my mind I’m itching to get outside and walk, and on most winter days I’ll bundle up and walk for at least 30-minutes around my neighborhood. But today? Not a chance. So on these days, and on so many of the cold, short days of winter, I find I have lots of extra time on my hands. There’s a little bit of restlessness on these days, but mostly I’m content to stay in. Because it gives me time to do what I’ve been wanting to do for years: write a book. Now, I haven’t actually started writing a book yet, except for maybe a few pages of rusty words cobbled together that don’t really have a direction yet. It’s more like I’m setting the groundwork for writing a book, something that I thought wouldn’t be that exciting until I actually started doing it. And I have to say: this is exciting. Writing a book is something I think I always sort of knew that I would do, even when I was very young. Writing (and reading!) were interesting to me, and fun. Writing has been this thought in the back of my head that I’d sometimes pull out and make a few half-hearted attempts to do something about, but I always failed to be consistent. As anyone who’s ever tried to write knows: it’s so much more fun to imagine being a writer than it is to actually write. Except now, I’m finding it kind of fun. I’ve decided that I want to stop worrying about all the ‘what-if’s’ of trying to write a book, stop worrying about all the other ‘stuff’ that maybe I should do first, stop worrying about whether I’m actually someone who should be writing a book, someone who could be writing a book… and I’m just going to write a book. It’s the most obvious thing in the world and yet it took me years to get here. I came back from the Camino knowing that I wanted to write about this experience, knowing that I wanted to turn the story into a book, but I thought about doing everything else first. Building up this blog. Writing essays. Writing an e-book. Finding freelancing work. Researching agents. I didn’t really realize it at the time, but it was all just a way of stalling. I mean, doing all of these things is and can be very important; I knew I didn’t want to stop blogging, and I’ve written a few essays, and will continue to. But mostly I was putting off the thing that I really wanted to do, thinking that I needed much more preparation than what I had until I could actually start. But on the Camino, it turns out that all you need to do is show up and walk. You need a way to get to whatever town you’re going to start in, and you need a pack to hold your things and you need some decent shoes to walk in, but really, you don’t need much else. You just figure it out as you go, and there is nothing like the actual experience to understand what the journey is going to be like for you. So did I need to do all the preparation that I did? The training walks helped me out so much, but honestly? I arrived in Santiago at the same time as so many of the people who’d started with me in St Jean. And we were all fit and happy and smiling at the end. I was more fit in the beginning than most, and better adapted to the walking, but other than save me some pain, the destination was the same for all of us. In the end, we all got there. And when it comes to writing a book, it dawns on me that it is just like beginning a Camino: you need to have a very general idea of what you’re getting yourself into, you need a few of the specifics nailed down, and then you just need to begin. And the beginning might not be pretty… I might have the writing equivalent of blisters or bed bugs, of fatigue and a too heavy pack, of sleepless nights because of incessant snoring… but in the end, none of these things needs to prevent me from writing the book. Because it can get done as long as I begin, and as long as I can do a little bit every day. I’m taking a writing class, though it doesn’t involve much actual writing of the book and instead has me starting more at the end, rather than the beginning (I’m learning all about how to eventually get someone interested in the thing that I’m going to write). But in a rather twisted way, I’m wondering if this wasn’t the best possible way I could have started. It’s forced me to think very specifically about the kind of book I want to write and the things that I want to say. Mapping out an annotated table of contents when I hadn’t given much thought to a structure or narrative arc was tough, but it made me see what my book could look like. It gave me a beginning. This has been a quiet winter for me, but there has also been a lot of joy. I sit myself down at roughly the same time every evening, put on my writing playlist, and begin to chip away. This task feels more daunting to me than walking 500-miles did; this feels like I have thousands and thousands of miles to go before I get anywhere. But there’s a lot to see along the way. And it doesn’t feel impossible anymore.